Whew — what a 2016 for the High Desert Region!! Under Pete’s leadership we grew our membership by almost 16%, put on 56 events, and won the prestigious 2016 PCA Community Service Award over all of the other regions in PCA. As one of the more recent members of the club the things I noticed most are our growth in the participation of the women in our organization, and the spirit of volunteerism across everything we do. I must admit that it is a bit scary trying to step into Pete’s shoes. Fortunately a strong board of directors and committee chairs supports all of us in HDR. I am happy to announce that Rob Kutz has stepped forward with an offer to be the Events Chair for 2017, and the board is expected to approve him on our next meeting, January 10, 2017. It may have been cold and blustery outside on December 9, when we held our annual Holiday party, but it was warm inside as we celebrated the fellowship that is HDR, and opened our hearts and wallets to helping our community. Through the banquet and the silent auction we raised over $7,000 to support “our” charities, the COCC Automotive Tech program, and scholarships for students to the Bend, LaPine Sunriver Drivers Education skid school. 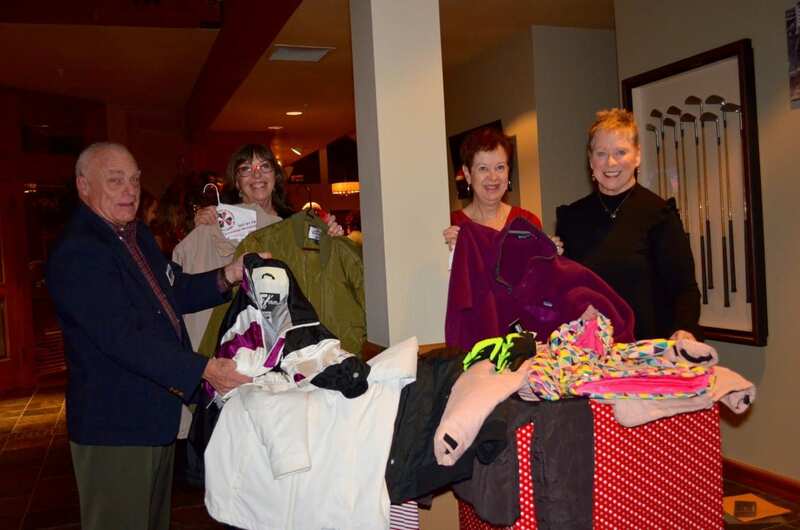 We also added a coat drive this year to assure that more Central Oregonians stay warm this winter — particularly children. More than 60 coats were contributed, together with gloves hats and scarves, and I would like to thank everyone for their generosity in this effort on such short notice. You Opened Your Closets Too! 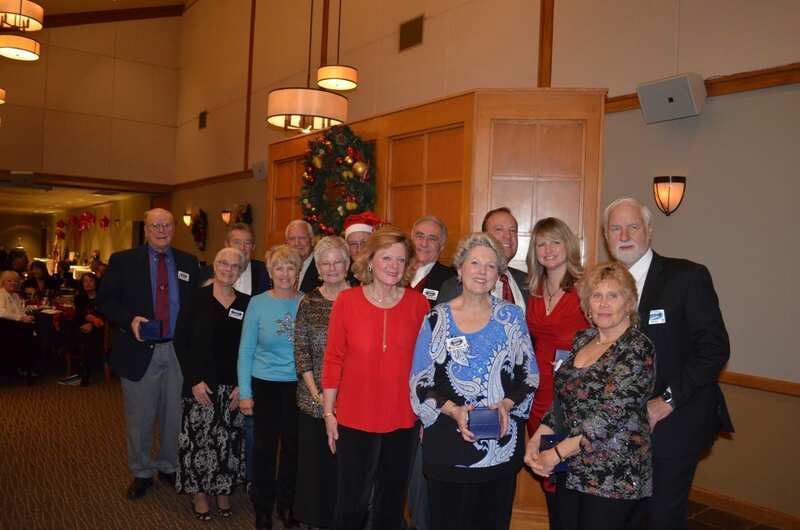 Tour Awards: Tom & Mary Tomjack, Scott & Kathy Loring, Joe Mansfield & Lisa McCarthy, Bob & Patty Stark, Rob & Karen Kutz, and Bill & Kathy Wilson. Bren Hirschberg for the Driver’s Ed session, and John & Eleanor Donohue for their efforts with our ongoing roadside cleanup. 64,000 member miles of HDR touring for 2016! We added a perpetual award in 2016. The Sparkplug Award is intended to recognize members who provide the extra spark of energy to get projects moving, whether it is a tour, or the monthly dinner. Congratulations Mike and Ann Sampson for all of their service over so many years. Finally, we recognized Pete. Without in any way denigrating the eloquent presentation by Scott Loring, it is impossible for words alone to thank Pete for the inspiration that he has provided during his leadership of HDR. 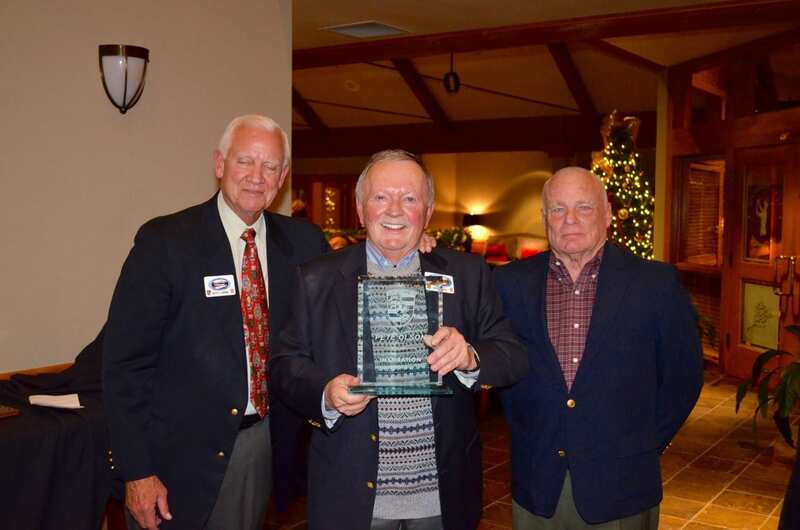 We may chuckle at his tractor or his VW pickup, laugh at his distinctive manner of calling our dinner meetings to order, or sit in awe as he announced that HDR had won THE PCA award for community service. We have also all seen Pete tirelessly and continually moving our club forward. His enthusiasm, persistence, and ability to encourage the efforts of others are exemplary. In a single word, Pete inspires the better nature in each of us. We all owe Jan Kozeliski a debt of gratitude for her exceptional organization and execution of the Holiday party. Jan began her efforts immediately following the 2015 event and worked tirelessly throughout the year to make certain that no detail was overlooked — and there are an amazing number of details. She worked well into a bout with the flu, and only left at 4pm the day of the party after assuring that all was in place and her assistants. I would be terribly remiss if I did not take this opportunity to sincerely thank Porsche of Bend for its ongoing support of HDR. Jessica Dominic, the general manager of Kendall Porsche, Audi, and BMW of Bend, and Mike Tessen, the Porsche service manager attended the Holiday party and furnished baskets with gift items for the silent auction. 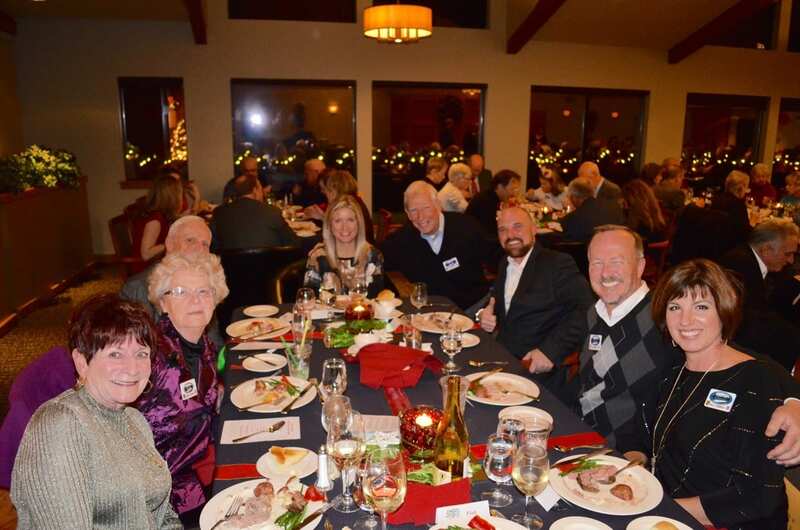 More importantly, Porsche of Bend continued its long tradition of reimbursing HDR for many of the expenses of the Holiday Party, thereby adding to the funds that we have available for our charitable endeavors. Please use every opportunity you have to thank Porsche of Bend for the assistance they provide to HDR. And a thank you back to Porsche of Bend! 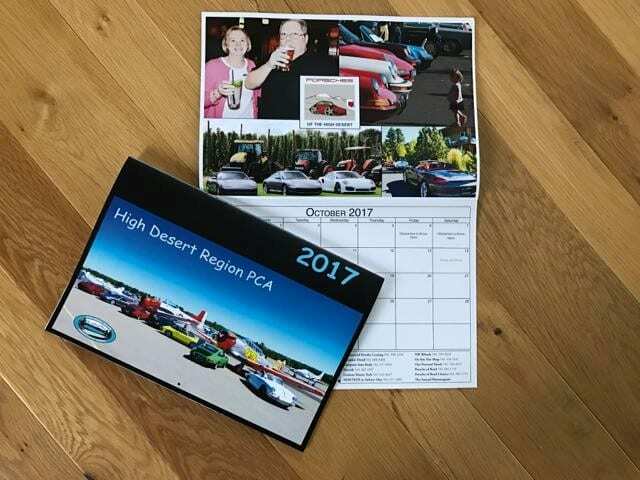 We also rolled out HDR’s picture calendar for 2017 at the Holiday party. This is the first of — we hope — many years of calendars, and provide a full year of photo memories whenever one makes a note on a date or looks up the next event that has been calendared. We will have calendars available for $10 each at all of our early 2017 events. Proceeds will go to provide further funding for club activities and charitable efforts. It would be nice, perhaps, to rest on our laurels in 2017, but time marches on and so must we. Porsche Parade this year is being hosted by Inland Northwest in our PCA Zone, and we will be incorporating a Porsche Parade “tour” in our event itinerary, including hosting the Redwood Region and joining with them as they journey to the Parade. Bob Stark has a full slate of Arrive & Drives organized, and tours are coming together. Tentatively we will be joining with the Oregon Region this year for the show at the Oregon Fest. We will open our 2017 activities with a combined tech session and cars & coffee at Commercial Powder Coating in Bend on Saturday, January 7. This is NOT just for those who may be building or restoring a car. I learned about powder coating many years in respect to cars, but I have used powder coating in such diverse uses as restoring a set of 1950’s Eames chairs, and making a rusted hot tub heater cover look presentable. Please join us for coffee, donuts and conversation, as well as a presentation about powder coating and its many applications — a presentation that will include an actual demonstration of the powder coating process, and a surprise raffle item. Although short in physical stature, Pete leaves big shoes to fill. I will give the presidency of HDR my best efforts and would not have accepted the position if I had not been assured that he has no plans to stop being an active member of the club and agreed to continue to take my calls no matter how off the wall the questions might seem. Success, however, won’t come with any one person’s efforts. Rather it will be the product of the support and energy of every member. Thanks for your confidence in me and may I wish you personal happiness and success in every aspect of your personal life in 2017.